This dish was described to me “OLD, old recipe” that was shared by a dear friends Mom, Anne Beach, who happens to be one of the best cooks I know! EVERYTHING Mrs. B makes is divine, I can remember shortly after moving to H town back in the 90’s sitting in Mrs. B’s kitchen and watching her make homemade Lemon Bars. She cooks with LOVE. Love of the ingredients, love of those she is cooking for and love in the sharing a bit of herself with all those who are lucky enough to know her! She is a great lady! 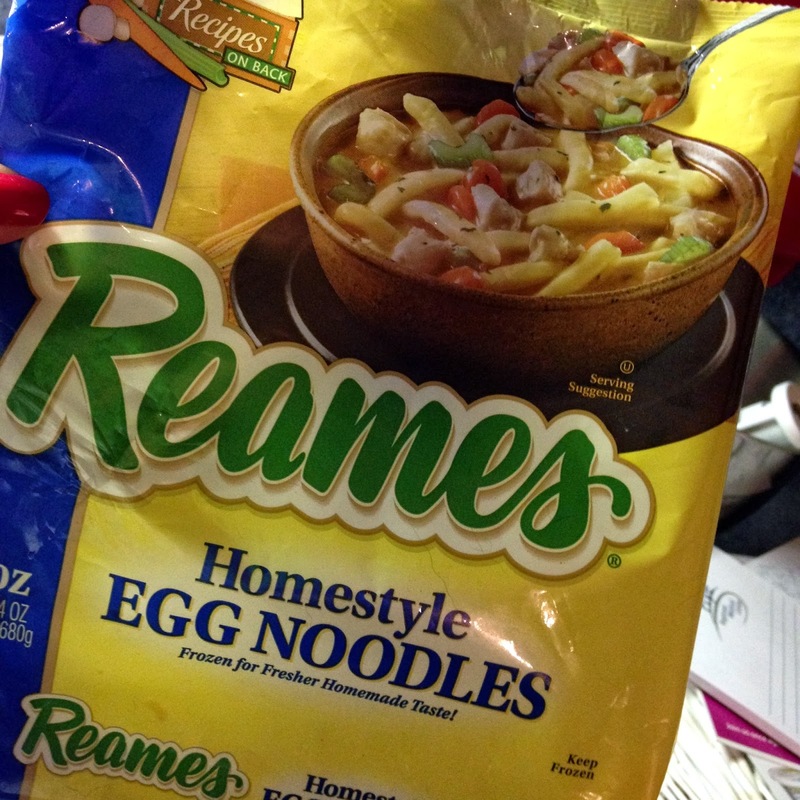 It is the closest thing to Chicken and Dumplings I have ever had and is DELISH! My newest find that takes this to a whole new level!!! OH MY GOODNESS!! YUMMY!!! 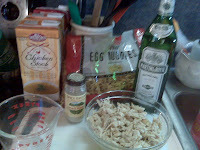 This entry was posted in Uncategorized and tagged Chicken, Chicken and Noodles, chicken noodle soup, Hickory Mom Blogger, kelly's corner, pasta, Shaker Chicken Noodle Soup, Show us your life, soup, Souper Sunday. 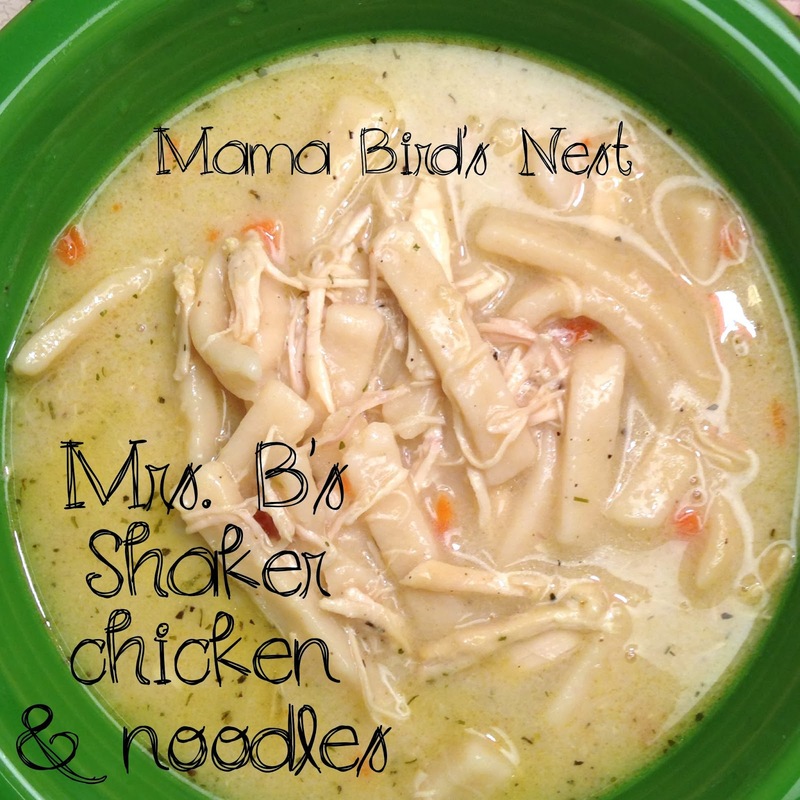 I love homemade Chicken Noodle soup on cold winter days when the whole family seems to have the sniffles. I could go for some of this right now! I am hungry and it is cold outside!!! Wow that sounds amazing! You know my Great Grandmother had Vermouth always on hand. I’ve never tried vermouth or dill in my chicken soup but it sounds really yummy! That sounds like a great soup! Thanks for linking your recipe to TMTT.